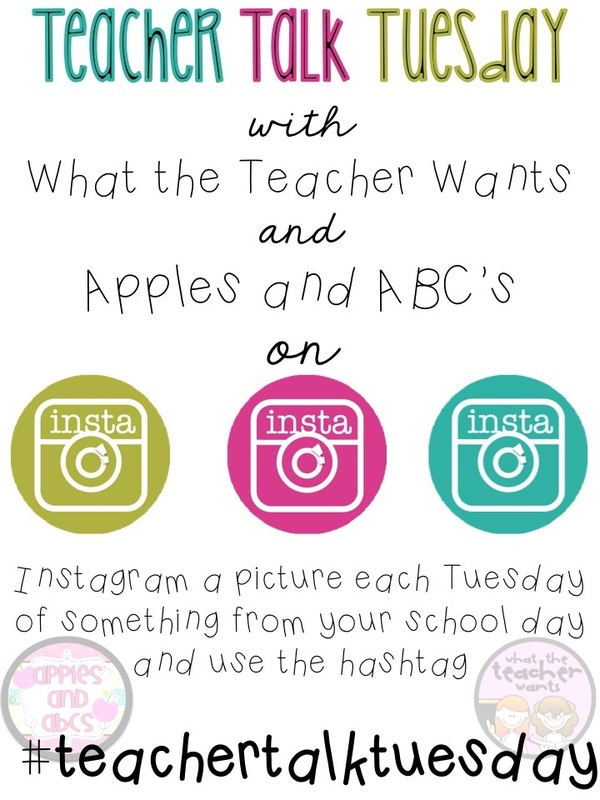 I am loving how the teachers have been sharing so many photos on Instagram lately, especially on Tuesdays using #teachertalktuesday to categorize all of our photos together! If you want a short overview on the Instagram basics (including what a hashtag is) you can check out my previous post HERE. Today I want to share some apps that I use, or know of, that you can use to edit your photos, add words, or change the filter. Before I even used Instagram, I used some of these apps for my blog, so maybe these can be helpful! What can it do? : You can do a collage of pictures all in one frame. If you want to share several pictures, but don't want to post them all, you can organize and place them into the little boxes. You can also write text onto the picture too! I wanted to share three images from my Ocean Unit and I was able to write my blog name on the picture. What can it do? : You can choose cute fonts and shapes to write on the photos, add boarders, edit the picture, and so much more! What can it do? : When your photos are too big for the Instagram screen, it makes them fit! I use this for my bulletin board pictures!!! Here is me using Whitagram to fit this cute flower craftiftivity from Kindergarten Smiles. What can it do? : It gives you cute borders for your pictures! I would love for you to share with me some of your favorite apps that you use for photos! Leave me a comment if you have any good ones, so I can check them out! And remember....Tomorrow is Teacher Talk Tuesday, hosted by myself and What The Teacher Wants! 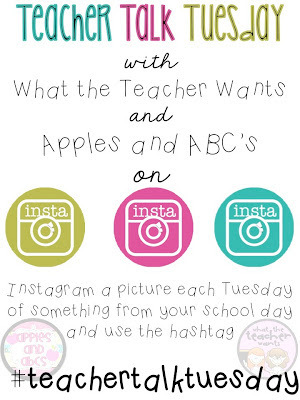 Post a picture of anything "teachery" and use #teachertalktuesday. Hoping I can find some of these for Android since I don't have an iphone...searching now with crossed fingers. Thanks for sharing the wealth! I've been wondering about A Beautiful Mess...definitely going to check that one out! Thanks for sharing this. I have downloaded a couple of the apps and can't wait to start playing around with them. Ahh Whitagram I've been looking for you!!! That's going to rock my world. Thanks for sharing! Just downloaded Whitagram... free... not even a dollar...it keeps getting better! I have to get these now!! Love that I'm hooked on Instagram thanks to you!! Hi to all,Thanks for Sharing a Great Innovative And creativity blog here!! I bookmark this webpage and i stumbled more informations here!! Instagram is a simple way to capture and share the world's moments. Transform your everyday photos and videos into works of art and share them with your family and friends. I have been using Instagram like app which works exactly like Instagram. Its one such interesting app.